Europeans should take care of the EU and protect it from those who want to destroy it, says Brussels' chief Brexit negotiator Michel Barnier. He made the comments during a chat about the future of Europe at the Democracy Alive Festival, which is being held on the Dutch island of Texel from April 11-13. 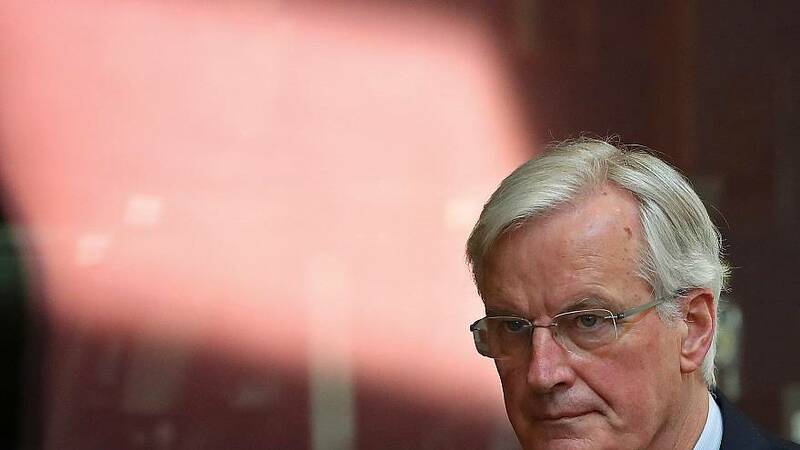 Barnier called on EU citizens to "take care of Europe," after retelling of a meeting with Nigel Farage in which the arch Brexiteer asserted that "after Brexit, the EU will no longer exist". "This man wants to destroy the European project, so we have to be careful," said Barnier. "Being together, we remain at the table where the order or disorder of the world in the next 50 years will be organised," he argued. "We must be European in addition to being Dutch, German or French," he went on, calling for closer cooperation in certain areas including security. Taking care of the union, he added, means that it needs to reform, to draw the lessons from its mistakes and to speak up about the different issues facing the bloc. "Silence is the reason of so much demagogy and so many campaigns against Europe," he said, urging people to "affront and contradict the populists." Fresh from "a long day and night" at the European Council at which EU countries granted the UK a six-month Brexit extension, Barnier lamented the divorce as a "lose-lose game". "Brexit has no added value," he said. He reiterated the bloc was willing to reopen the political declaration, which covers the future EU-UK relationship, but not the withdrawal agreement, which is about the divorce between the two. Barnier stressed that what's "much more important than the divorce is the future relationship with the UK". He said citizens' rights and the backstop arrangement were the EU27's priorities. "We cannot and we must not and we will not rebuild a border," he said, dismissing any criticism that the EU is splitting the Irish island in two. "At each and every external border, we are obliged to implement a series of controls for each good entering the single market" to protect consumers, the bloc's budget and businesses, he explained. "In Ireland, the new limit of the single market goes straight in the middle of the island," he went on, adding: "It was not our goal" and work is now underway to "find operational solutions for the problem created by Brexit." Barnier's intervention came after the EU's competition chief Margrethe Vestager talked on a similar topic earlier. The EU's competition commissioner hailed Europe has "a great place to do business" but warned that "you have to play by European rules" or face the consequences, which include "hefty fines." She also asserted that now is the time to introduce digital regulations because "a lot of our economy will be placed on platforms" in the future. "We are pushing to make sure that we have the tools in place to get it if something is wrong" or to "get the tools that we need to maintain a fair Europe," she explained. Vestager also said it was crucial to "learn about corporate taxation in a digital world". "When you do comparable data, digital businesses pay on average 9% in tax when other businesses pay 23% in tax," she said. This could result in national budgets shrinking and therefore less money to spend on social issues, she argued.